I’m a busy mom. You are probably quite busy too. 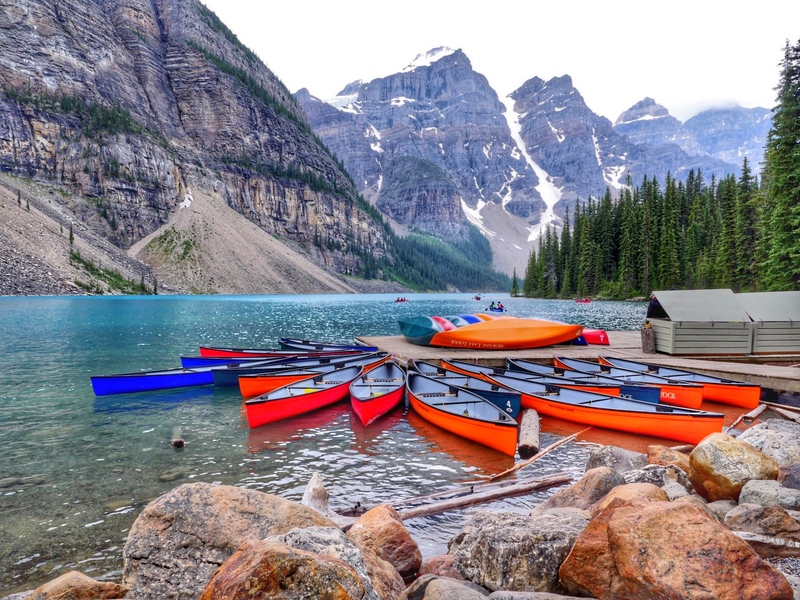 Let’s face it by the time you’ve gotten home from vacation, cleaned everything and put it all away, the last thing you want to do is print vacation photos. I grew up in a home full of family photos and I’m ashamed to say my kids see very few in ours. There’s a few reasons for this. The first is, like I said, that I’m busy. The second is that I don’t love the look of frames. That’s why when I heard of the acrylic block from Posterjack I knew I had to have one. I love it so much, I now want to give you the chance to win one of your own. Posterjack is a Canadian company based in Toronto that serves all of Canada. The workmanship shown in each piece I’ve ordered has proven to me that these guys love helping Canadians turn photos stuck on memory cards into cherished timepieces. All products are guaranteed and everything is made in house. These guys aren’t making high numbers of mouse pads or keychains, they are turning memories into something you can be proud to display on your walls. 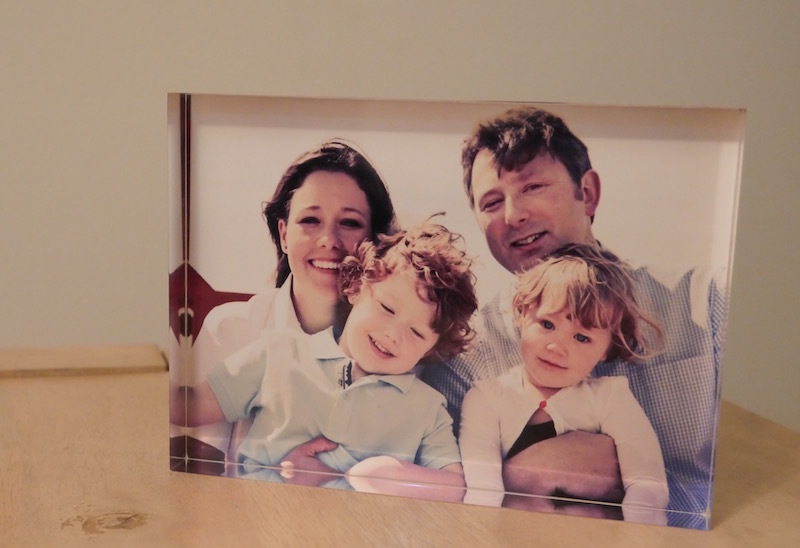 The acrylic block is one of my favourite products from Posterjack. I live in a pretty modern home and like clean lines and a modern look. The acrylic block blends well into our house but would also look incredible on a wood bookcase or mantle. 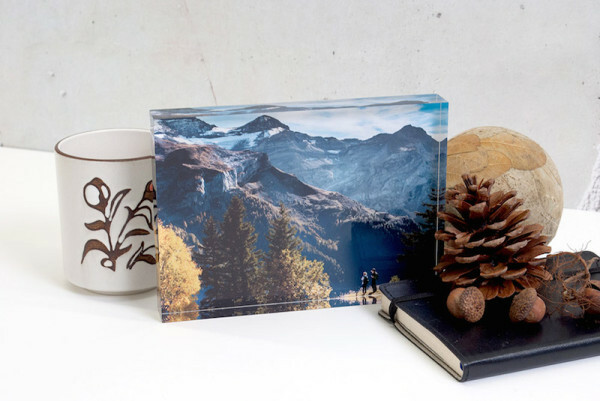 The block itself is is made of perfectly clear, one-ince thick piece of premium cast acrylic. It is flawless when you look through it from end to end. The image in the block is printed using advanced printers and software. Our photo captures the gorgeous hue of our photo and its much clearer than I expected. I love the way our acrylic block looks in our kitchen. It was also work well on a desk in an office. Posterjack wanted to share the love and offer 12 acrylic blocks to be given away across Canada in their #12DaysofGiveaways. This is Day 11, so it’s time to enter before you miss out! 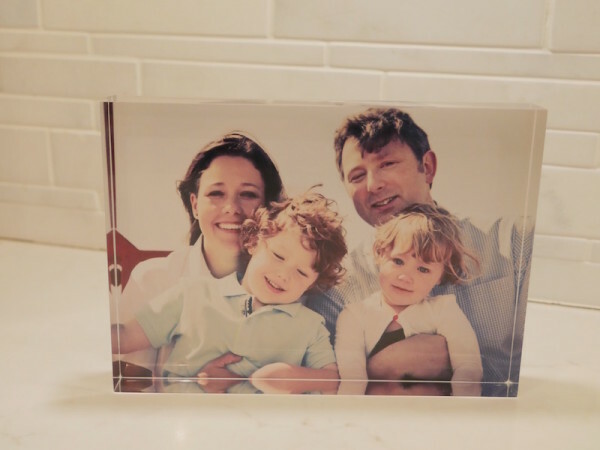 The lucky winner will get one customized Acrylic Block with photo of their choosing delivered to their door. You only have 1 day to enter before my giveaway ends! (Please note: The giveaway is for Canadian Residents only).